Alliance MFG has a rich history of taking canvas and material and turning it into a quality finished product. From tarps and winter fronts to wall tents and industrial bags, we not only provide you with good value but also give you a high quality finished product that is sure to meet and exceed your expectations. Alliance MFG helps you protect your investment! A custom made boat cover not only looks better on your boat, it protects it! We also repair canvas! Tent trailers, boat covers, awnings, jeeps and off-road vehicles - we can repair the canvas material on just about anything. Before you look to completely replace, look to us for a repair! ​Are you no stranger to the outdoors? Alliance can outfit you with a well manufactured Wall Tent to suit your needs. Also, our Wall Tents come fully equipped to be able to handle wood burning furnaces. 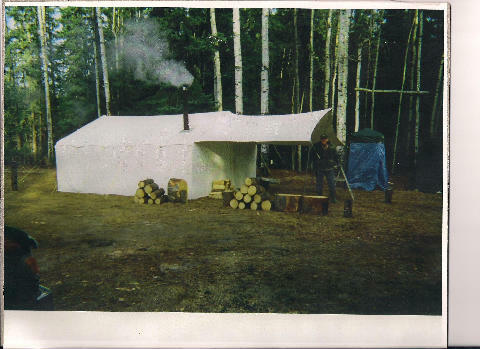 Our custom wall tents have been used for various activities like fishing, hunting, adventures, and the private sector. The private sector includes companies that require needs to be met in the roughest of terrains, for example Alberta Forestry. Whether you're an adventurer or you're looking to supply your employees with high quality Wall Tents, Alliance is able to help. Contact us to better equip your outdoor needs. 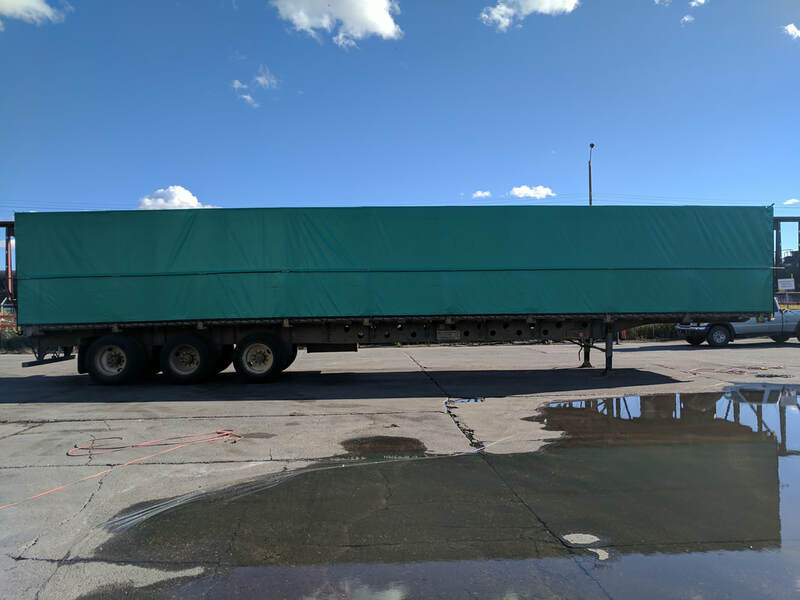 Alliance MFG can create the perfect tarp to cover and protect your truck or trailer. We pride ourselves on providing the highest of quality products at a fair price. Contact us for a free quote! We all know how cold January can get right? A winter front on your big rig will keep your engine running warm and help reduce maintenance costs. The winter fronts are custom made to fit right. We also make window covers to protect your vehicle and heavy equipment during transport. ​​Does your business require custom bags? Alliance can custom make any type of bag to suit your company's needs. Our bags our made from the highest quality of materials and they're built strong to last long. If designs an issue, Alliance will work with your company to design a bag that will work with your needs. ​Upholstery- If your seats and upholstery are looking worn out and over used there is a simple solution. Alliance can work with you to pick the perfect material and colour to have your seats and upholstery looking better then new. Covers- Remember we don't just do boat covers! We can design and manufacture many different types of covers to suit your needs. Winter Fronts- We all know how cold January can get right? A winter front on your big rig will keep your engine running warm and help reduce maintenance costs. The winter fronts are custom made to fit right. Trampoline Repairs- If your trampoline has given up one too many bounces, come see us and see how it may not be the end for your trampoline. Fabric and Supplies- For the hobby enthusiast and the do-it-yourself type people, we also act as direct retailer and can supply you with a plethora of products at competitive prices. Come see our showroom and flip through the wide range of products we have available!